Medical Malpractice Help » Lawyer » Hospital Malpractice Lawyer » Can You Sue A Hospital For Understaffed Emergency Rooms? Hospitals that do not keep enough staff in their emergency department can run the risk of someone filing a lawsuit. If a patient is injured because of the lack of support in the medical department, then they could possibly file a negligence claim against the hospital. There are different ways that emergency room malpractice occurs. The most common reason is when there are not enough nurses or doctors to provide adequate care for the patients. Patients who enter the emergency department and are given the wrong diagnosis because there was not enough staff to see that the patient was monitored efficiently can file a malpractice suit. These situations occur when the hospital fails to keep enough staff in the necessary departments. The end result could be injuries to the patient that could have been prevented. Some situations in emergency room malpractice occur more frequently than others. Giving the patient the wrong blood type is a frequent event that occurs in hospitals. Patients are also given the wrong medicine because the staff is too busy to read the information on the charts. If there are more patients than the emergency department can handle, the nurses may treat the wrong patient. The patient that they treat would get the wrong medicines and tests, leading to possible side effects that would not have occurred if the correct amount to staff would have been in the department. When a nurse ignores a patient who is pain because the nurse is too busy with other patients, emergency room malpractice can result. If an emergency room malpractice claim is won, there are several ways that the plaintiff can be compensated. This compensation is called damages, and they are awarded to the patient from the hospital. The most common form of compensation is paid in lost wages if the patient missed work because of the lack of treatment they received. They can also be paid for their pain and suffering they endured during the process. Sometimes the hospital may have to pay punitive damages. These are used as a determent for the hospital so that they won’t commit this act again. Medical bills, therapy and disability payments can also be awarded to the patient. When a patient feels they have been neglected because of a lack of emergency room staff, they should seek the help of a lawyer. 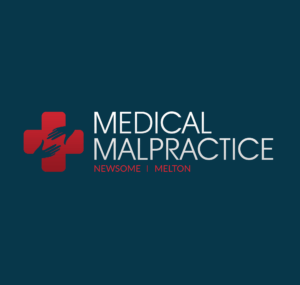 A medical malpractice attorney is the best person to contact so that they can research the case and give advice on how to proceed with the claim.